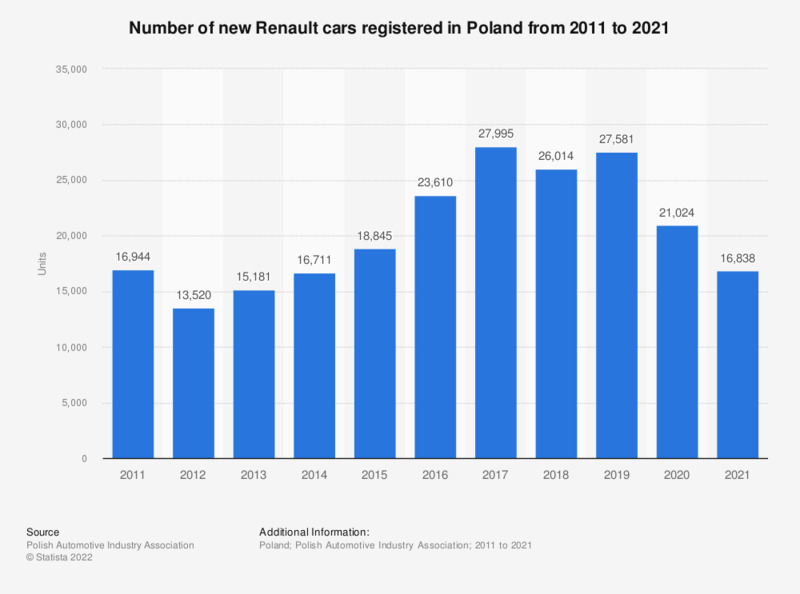 This statistic shows the number of new Renault cars registered in Poland between 2011 and 2018. Polish registrations of new Renault cars increased from 16.9 thousand units in 2011 to over 26 thousand units registered in 2018. Everything On "Automotive industry in Poland" in One Document: Edited and Divided into Handy Chapters. Including Detailed References.